Health concerns about breast implants have been in the news for decades. It’s what led to a ban on silicone breast implants in the United States that lasted from 1992 until 2006. Yet now there is another issues affecting implant safety and use. Certain types of breast implants may increase the risk of patients developing anapestic large cell lymphoma (ALCL). The Scranton, PA product liability attorneys at our our firm would like to cover the basics of these dangers, the unique warranty issued by Allergan (a manufacturer of breast implants), and what legal options may be available to you. We always stand beside those who were harmed by defective medical devices. In 2011, the FDA first received a possible link between breast implants and a heightened risk of patients developing ALCL. As of 2017, the FDA has received 414 separate medical device reports concerning plastic surgery patients who received breast implants and instances of ALCL. These 414 reports include 9 deaths from ALCL. A report in the Philadelphia Inquirer in January of this year notes that 513 cases of implant-related ALCL have been reported worldwide, including 16 deaths. Of the FDA’s 414 medical reports, 272 included information on the texture of the breast implants; in 242 cases, the implants were textured while just 30 were smooth. In addition, 413 of the 414 medical device reports included information on implant composition; 234 were filled with silicone gel, and 179 were filled with saline. Anaplastic large cell lymphoma is a rare type of blood cancer that can develop quickly and can often return. Medical researchers are still looking for more effective ways of treating the disease and managing its symptoms. Some patients may also notice red bumps appearing on their skin that do not disappear. If you suffer from any of the listed symptoms and have breast implants, be sure to speak with your doctor as soon as possible so these matters can be looked into in greater detail. 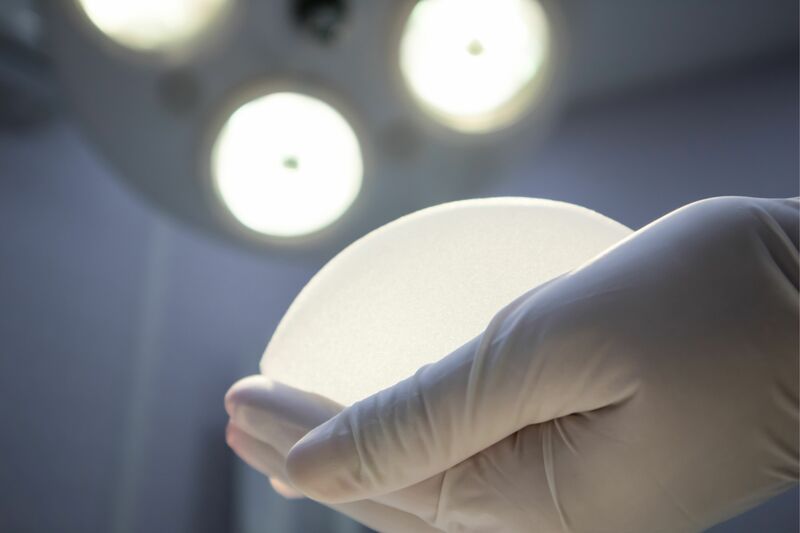 Urged by the American Society of Plastic Surgeons, the company Allergan is offering a first-of-its-kind warranty on breast implants they manufactured for patients affected by ALCL. Allergan will cover $7,500 for breast implant removal if their implants caused ALCL. It is unclear if other breast implant makers will follow in Allergan’s footsteps. Given this offer, it may be worthwhile for breast augmentation patients to contact their surgeons to check on the company that manufactured their breast implants. There has been some discussion of legal action against breast implant manufacturers given the dangers of implants and the way these health problems can affect patients’ lives. If you or someone you love has been affected by issues with breast implants, our lawyers are here to talk. Any time a medical device fails, it’s important to hold negligent companies accountable for their actions. We are here to help. For more information about your legal rights and options, be sure to contact an experienced product liability lawyer. The team at Foley Law Firm can help you if you are interested in pursuing a lawsuit against negligent medical device companies.